Wells Fargo has signed an agreement to sell its institutional retirement and trust business to life insurance and financial services group Principal Financial Group for $1.2 billion, Principal says. 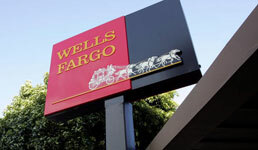 The unit includes Wells Fargo’s defined contribution, defined benefit, executive deferred compensation, employee stock ownership plans, institutional trust and custody and institutional asset advisory businesses, according to a press release from Principal. The combined businesses include around 2,500 employees in offices across the U.S., Philippines and India overseeing $827 billion in assets under administration as of the end of 2018, Principal says. The deal, which is expected to close in the third quarter of 2019, will double the size of Principal’s U.S. retirement business and make it one of the three largest defined contribution record-keepers, with a combined 7.5 million U.S. retirement customers, according to the press release. Wells Fargo has been selling off parts of its business in light of the February 2018 asset cap imposed on the firm by the Federal Reserve, which followed the 2016 revelations that thousands of Wells Fargo’s retail bank employees opened millions of accounts without client authorization. And earlier this week, before Wells Fargo signed the deal with Principal, Federal Reserve chair Jerome Powell wrote to Democratic Senators Elizabeth Warren and Sherrod Brown that he plans to keep the asset cap in place, Reuters writes. Wells Fargo declined comment to the newswire. Wells Fargo has also had some major changes in recent weeks at the top. Last month, the firm announced that Tim Sloan was stepping down from his role as CEO effective immediately. A few days before that, the company announced that starting this month, Tim Traudt will take over as interim head of Wells Fargo’s wealth management unit, which is itself under investigation by the SEC and the Justice Department for its own sales practices. Traudt is replacing Jay Welker, who announced his retirement from the firm in November. And one strategy to help its executives deal with the changes could be gleaned from a recent internal presentation, the Wall Street Journal writes. A slide in the presentation suggested wealth management executives read the management book Who Moved My Cheese?, according to the paper. The management book, by Spencer Johnson, presents “an amazing way to deal with change in your work and in your life,” according to the subtitle of the book.